It's a rare day when a Los Angeles wedding photographer gets to fly to Charleston, South Carolina, to photograph a bride in a red Vera Wang wedding dress. The wedding itself took place at the Lowndes Grove Plantation, which featured numerous beautiful photography locations. The couple was also kind enough to let us do a day-after session out in some plantation groves. 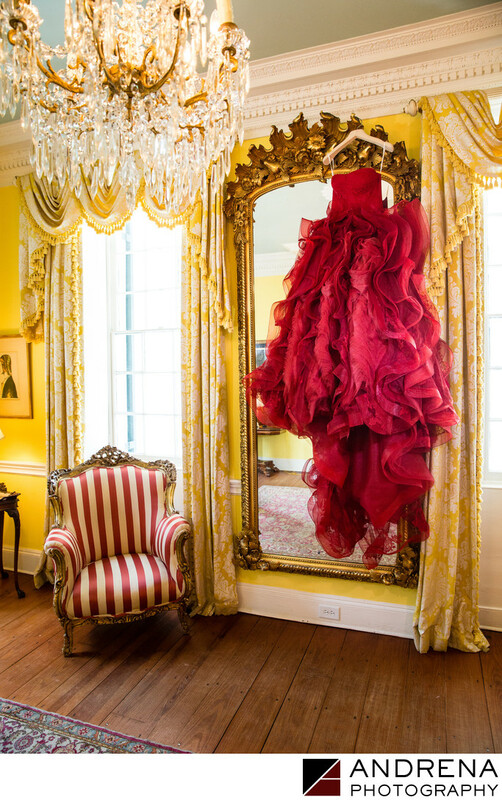 I loved this huge gold mirror in one of the plantation's interior rooms, and it provided a perfect place to hang this incredible Vera Wang red wedding dress.